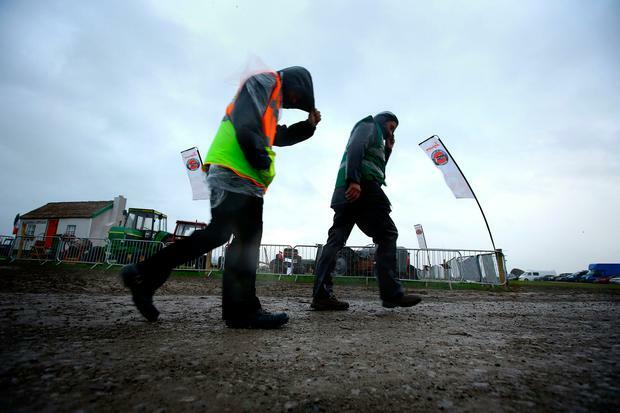 The National Ploughing Championship will not open today following extreme weather conditions. Teams at the championships spent the morning assessing any damage done to the site after Storm Ali wreaked havoc. It was announced last night that the opening time of the second day of the championship would be delayed until 11am. Officials then announced this morning that the opening time may be further delayed until 12pm. It has now been confirmed that the second day of the National Ploughing Championships will not open at all. "Exhibition arena to remain closed today. Further updates later. 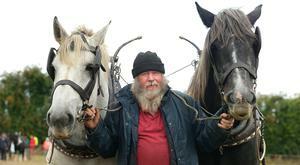 We thank the public for their understanding," the National Ploughing Association said. There is the potential hundreds of thousands of euro will be lost as a result of the cancellation. It is understood exhibitors were contacted earlier this morning about the viability of hosting a third day on Friday. Whether this will go ahead has yet to be confirmed by officials. Anna Marie McHugh of the National Ploughing Championships said they will consider opening Friday as an option, but it "is not a quick decision" to make. "It's devastating. I will give you one absolute assurance, and people can be interviewed separately on this, but the outlook at 7am with Met Éireann was positive. It was more positive than last night," Ms McHugh told Sean O'Rourke on RTE Radio One. "It's all about wind speeds and it looked quite positive [earlier this morning]." Ms McHugh said the site will definitely be open for business tomorrow. "We will definitely be open, definitely open for business," she said. "And we are considering Friday. But it isn't a quick decision. It can't just happen. 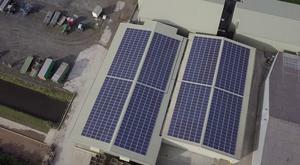 "We will have to consult with emergency services and exhibitors. "We have upwards of 300 gardaí involved. We cannot consider the event opening without the assistance of these people. "But, yes, it's in the mix. We'll update people with that later in the day." Ms McHugh also said she wanted to thank everyone for their patience. Speaking earlier this morning, Ms McHugh said they were constantly reviewing the situation. "We had our hourly assessments with Met Éireann," she said. 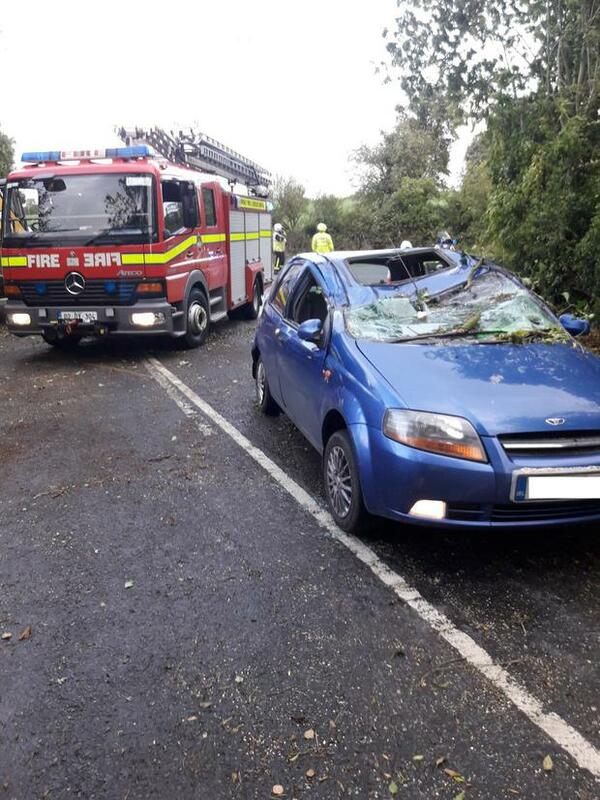 "The wind speeds are still not at a safe level for the public. We will review the situation again at 11.30am. Safety is our priority." Ms McHugh said that a number of tents sustained damage in the galeforce winds. "We do have a number of facades that have been knocked," she said. "Some of the hoarding on the front of tents has been knocked down. "We changed the opening time to noon, but we will reassess again at 11.30am." It is the second time the championships has been cancelled due to weather conditions. In 1965, the championships in Enniskerry were cancelled due to snowfall. The Ploughing Championship was previously cancelled in 2001 following the outbreak of the foot-and-mouth disease. This photograph shows the damage done to a large tent at the site in Screggan, Tullamore. 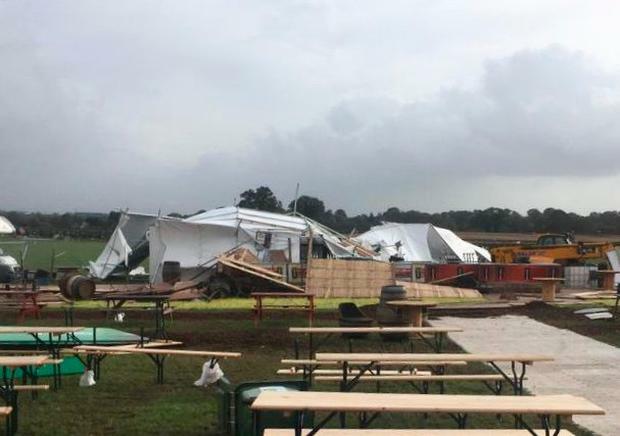 Galeforce winds of up to 130km/h have caused the tent, believed to be a food area, to partially collapse. The high winds also caused portable toilets to overturn on the site. Forecasters yesterday advised "extreme caution" in the coastal areas of Clare, Connacht and Donegal this morning. Met Éireann reissued the Status Orange weather warning this morning, saying; "Storm Ali will track close to the west and northwest coast this morning. "South to southwest winds veering westerly will reach mean speeds between 65 and 80km/h and gusts between 110km/h and 130 km/h for a time. The Status Orange warning applies to Connacht, Cavan, Monaghan, Donegal, Dublin, Kildare, Longford, Louth, Offaly, Westmeath, Meath, Clare and Kerry. A Status Yellow warning is in place for every other county. The warning will be valid from 5am this morning until 1pm lunchtime.